48. 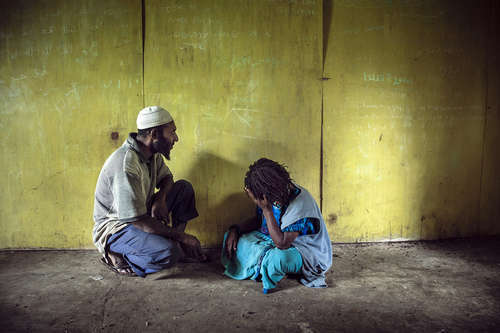 Mariana, 36, a victim of domestic violence, in the imam’s house near the mosque in Waigar, Chimbu Province. Though Mariana is not Muslim, she is always welcomed by the imam, Abdul Salam, 39, who gives her moral support and shelter.